I had a great time in Marrakesh last weekend, including a camel ride in the foothills of the Atlas mountains and a return to the food tour I went on two years ago. The picture below is actually from that tour two years ago. Unfortunately, the bakery was closed this time. What you see below is the local oven where bread is baked. The locals don’t have ovens in their own homes. 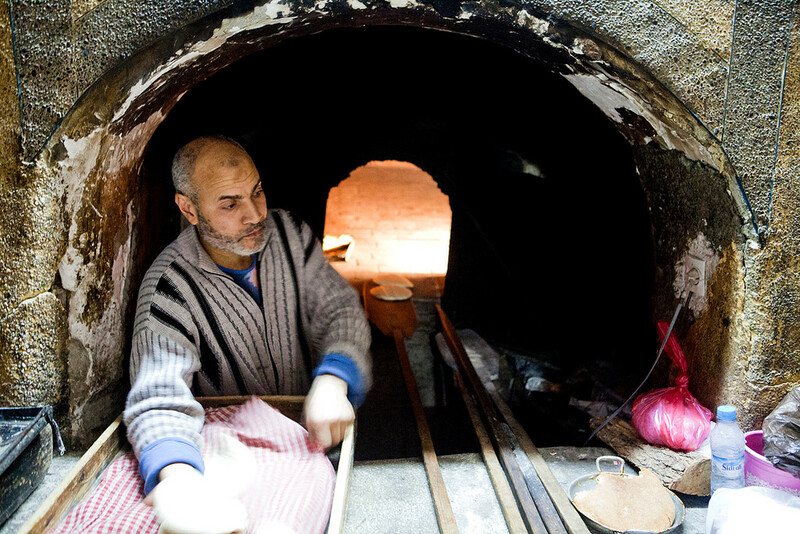 Instead, they prepare their meals for the oven and drop them at the bakery. While we were there we saw all sorts going in, most of all rows of sardines. The oven is effectively a huge clay room where wood is burned on one side. The operator spends the whole time in that small space in front of the oven entrance, being handed items to place in the oven. That’s really environmentally sound when you think about it.